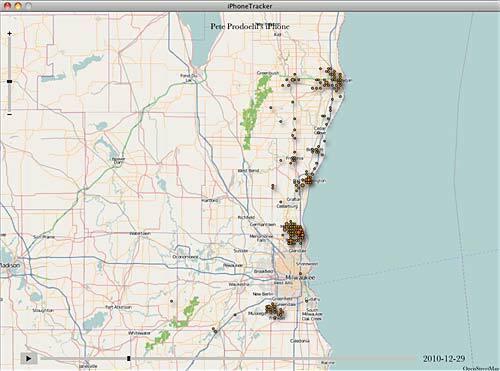 Your iPhone is tracking you! 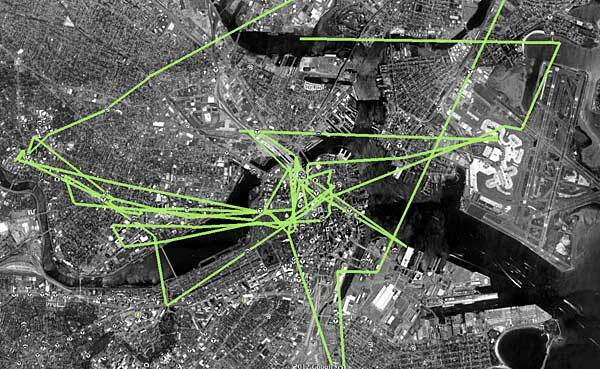 Oh yeah, time to freak out, because your iPhone is tracking you! Well, it’s tracking itself, or cell towers, or wifi access points, or… something of interest, but sadly, it’s not doing a great job at it. 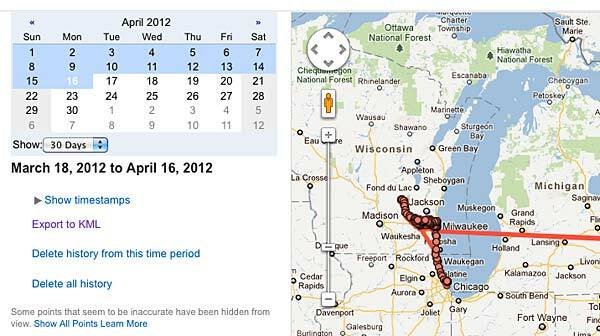 For some people, this is “Big Brother” type of scare… and for others (fans of geo-tracking) it’s not quite good enough. Will Clarke has a nice blog post about this as well. It’s worth a read. Here’s some data that was marked 2010-12-29. I’m not sure what that date refers to, but this seems to show my trip taken on 2011-01-01. I find it interesting to see this data. 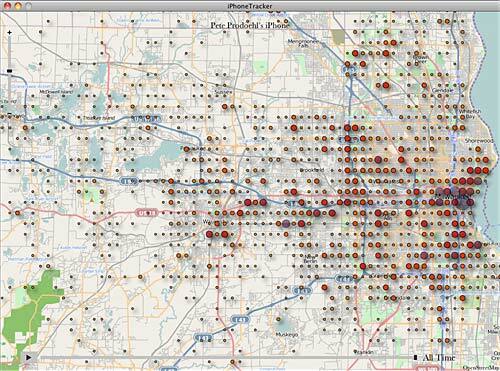 Back in mid-2010 I wrote some code to make an archive of my Foursquare data, with the thought I would map it all out at some point. Sadly, I’ve collected a lot of data, but haven’t done anything useful with it yet. Maybe it would make more sense for me to just get my geo-data directly from my iPhone. I mean, I don’t even have to check in and it knows (roughly) where I’ve been! 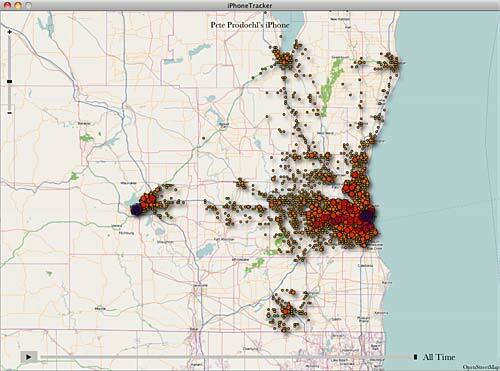 A nice table view of some of the geo-data the iPhone records. Now to figure out how to use it for something good. Or bad. Or somewhere in-between. 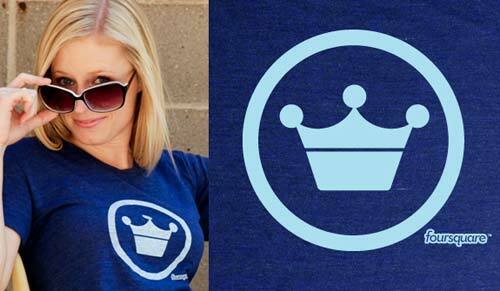 Foursquare is a geographical location based social network that incorporates gaming elements. Foursquare Fun – Who is Here? 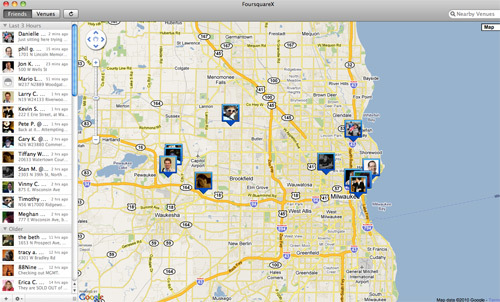 I had this idea for Foursquare… I thought it might be cool for a venue to have a screen showing who recently checked in. So I dug into the API a bit to see if that could be done. Here’s what I got. We can construct the URL to his Foursquare page using the id: http://foursquare.com/user/714868, and if the user has a username set, it will redirect to custom URL. (At least, it will if you are logged in with your browser.) We can also see their photo, so you could do something interesting with that as well. 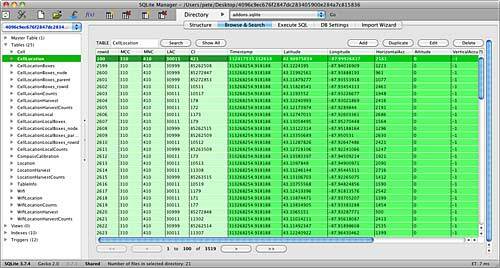 (There are no access controls on the images, you should be able to see any of those.) You can also see their homecity and their gender. I’m sure you can come up with an interesting Boys vs. Girls display using that data… And for a nightclub, well, it just seems fitting. OK, well that’s all the time we have for now, keep on hacking… and if you build anything interesting with this info, please let me know. I’m also a believer that visualizing data makes it more powerful, so after digging around in Foursquare’s App Gallery, I found a few interesting things. CheckoutCheckins is a nice little web site that mashes up your Foursquare data with the Google Maps API to show you where people and venues are. The creator is also on Twitter as @CheckoutCheckin aka @dannypier. wheredoyougo.net was written by Steven Lehrburger in a Mashups class he took in school. 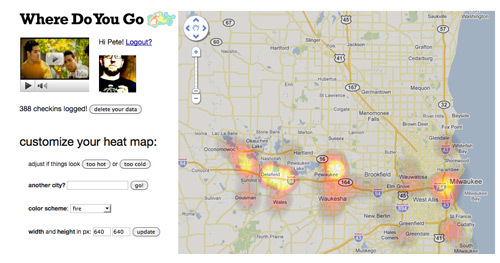 It shows a heatmap of where you’ve been. (He’s also on Twitter as @lehrblogger and is working on something called Wanderli.st. Twitter was probably one of the most instrumental in leading they way showing why you should provide an API to your users, and I applaud Foursquare for making their API available, and I’m glad to see more and more services doing it.